This year, hundreds of thousands of people across Canada will lace up to participate in the annual Terry Fox Run scheduled for Sunday September 15th. Now in its 39th year, the event’s longevity is a testament to staying true to its roots: grassroots, volunteer-led, non-competitive, and family oriented. We are currently seeking a new Run Organizer to chair the Chilliwack Terry Fox Run. In existence since 1992, has hosted an annual Terry Fox Run and contributed over $366,483 to cancer research. 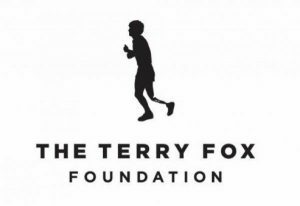 The Terry Fox Foundation will work closely with the volunteer chair and provide support, training, and materials to ensure the success of this year’s Run. Thirty-nine years have passed since that cold April morning when Terry Fox set out on his Marathon of Hope on the easternmost edge of our nation. In the ensuing years, millions of Canadians have followed in his footsteps to forge a uniquely Canadian event. Our greatest strength is the extraordinary team of Terry Fox volunteers that span from coast to coast, a human chain linked by a common purpose – to make a positive difference in the fight against cancer. They also share many of the attributes Canadians hold most dear: they are dedicated and driven, helpful and humble and, above all, they are caring and compassionate. If you are an enthusiastic and organized individual who possesses exceptional leadership skills, and passionate about making a difference in the world, contact us today and join the mission to change lives for the better every day.